Gambler is a 12-year-old Selle Francais gelding. At the time he was kept at an local boarding stable, where he spent the day in a stall and the night turned out in a pasture with two other geldings. The horses were all close in age and all seemed to get along well with one another. 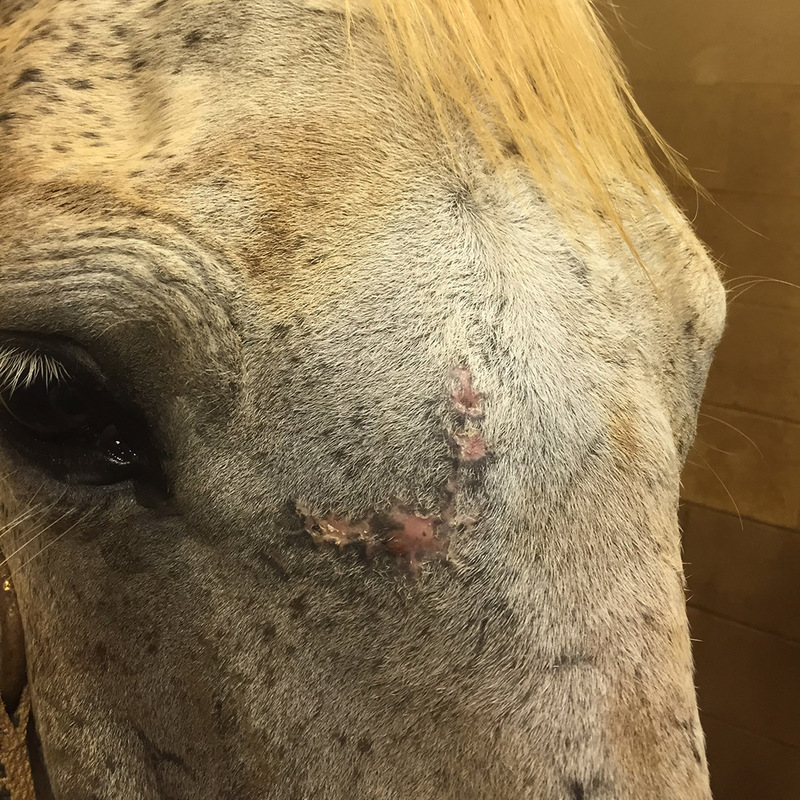 However, early one morning, Gambler's owner received a phone call from the barn manager--when they were bringing Gambler in from the pasture after being turned out at night, they noticed Gambler was injured. Gambler's owner rushed to the stable, calling her local veterinarian for an emergency visit along the way. 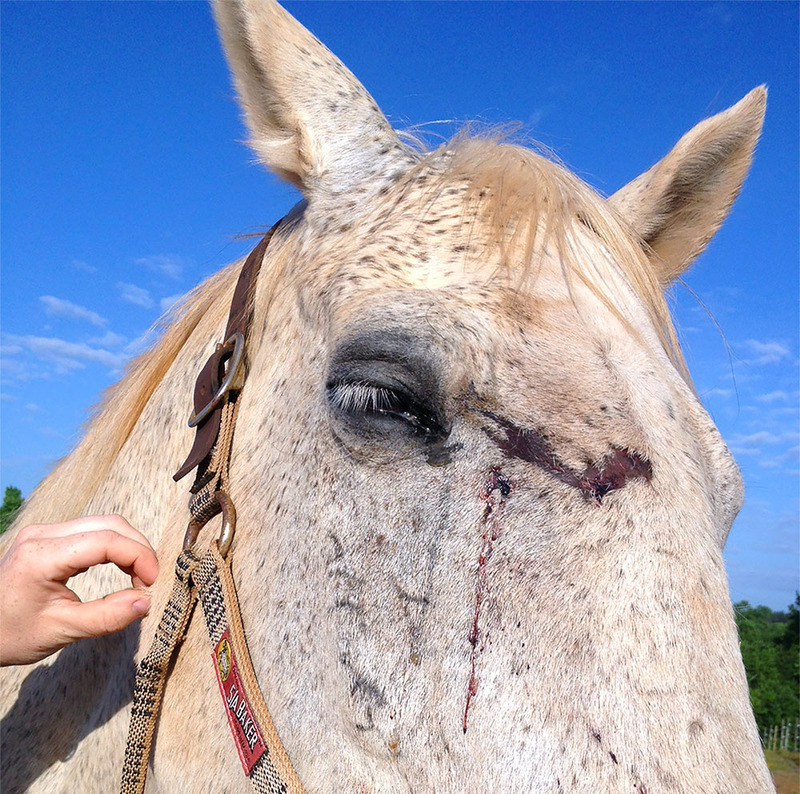 Upon arrival at the stable, she found Gambler in his stall with a laceration across his forehead, slight blood coming from his right nostril (known medically as epistaxis), and some hair loss just above his right eye (which was also moderately swollen). It appeared like Gambler had been kicked in the head by another horse. 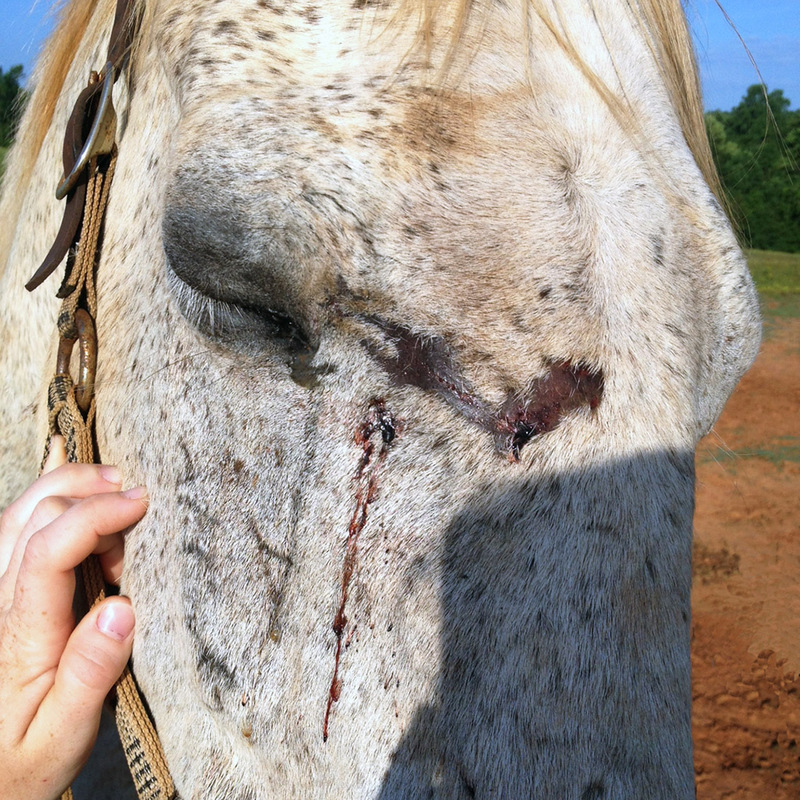 Photos of what Gambler's head looked like when he was brought in from the pasture. Gambler’s local veterinarian, Dr. Tracey from Palmetto Equine arrived. She performed an initial eye exam and discovered that the pupil of Gambler's right eye was constricted from all the internal swelling. She administered atropine to dilate Gambler's pupil. Dr. Tracey than proceeded to take digital radiographs of Gambler's head---to assess what was going on underneath the skin. The radiographs confirmed that Gambler had fractured his skull. 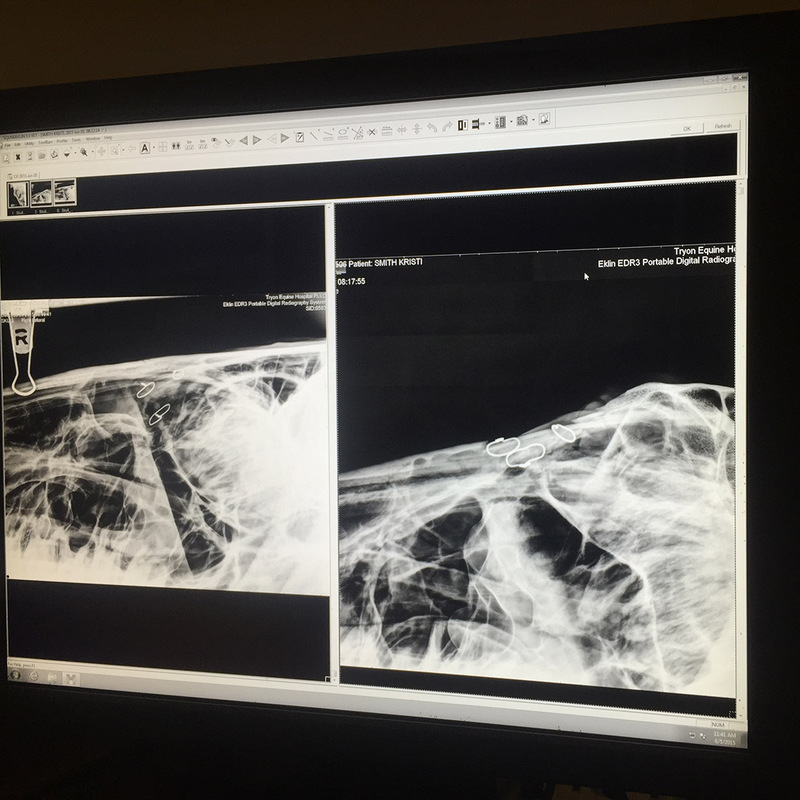 Dr. Tracey recommended that he undergo prompt surgical treatment to correct it. She could perform the surgery with him sedated but standing at the stable---or she could refer Gambler to Tryon Equine Hospital, a private referral hospital nearby. At the time, Dr. Tracey's hospital was also still under construction, however it is completed now. 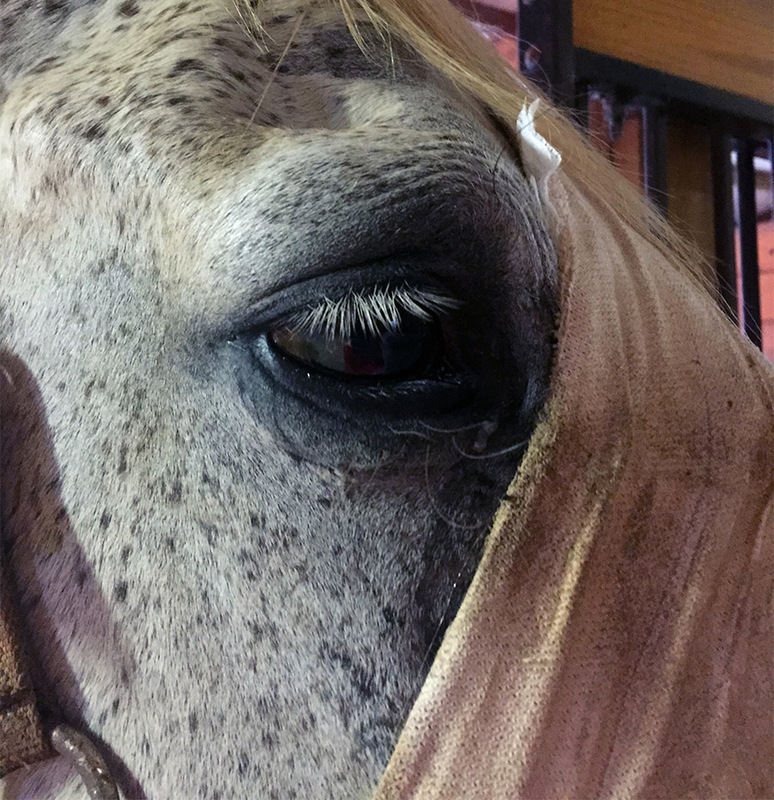 Since there was a higher risk associated with performing surgery on a horse that is just sedated, especially it being so close to his eye, Gambler's owner decided she would prefer to make the hour and half journey to Columbus, NC. Gambler and his owner arrived at Tryon Equine Hospital late that evening (due to running into some traffic along the way). They were welcomed by the staff and two of Tryon Equine's Board Certified Surgeons--Dr. Lindsey Boone and Dr. Bill Hay. The first thing the doctors wanted to do was confirm the extent of Gambler's injury by taking radiographs of his head. The radiographs showed that Gambler had two fragments of bone involved in the injury---one in the cranioventral aspect of the zygomatic arch (lacrimal bone) and one fragment involving the frontal bone. The doctors scheduled Gambler's surgery for first thing the following morning, and set him up to stay overnight in one of their open stalls in the recovery barn that is attached directly to the hospital. The next morning, Gambler was prepared for surgery. After induction of general anesthesia, Gambler was placed in left lateral recumbency. The frontal fragments were elevated into place and stabilized with surgical wire. 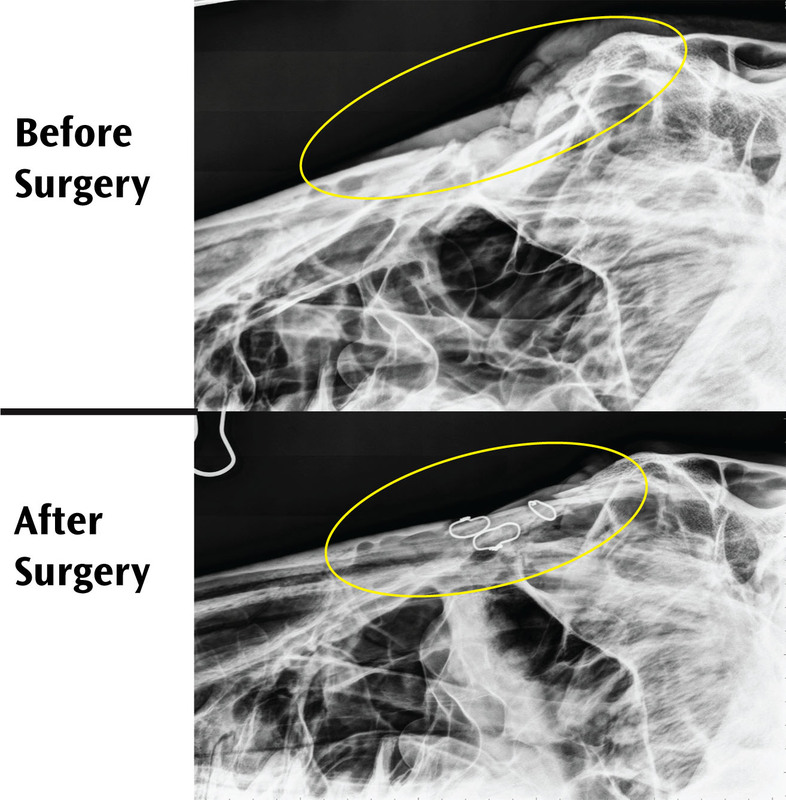 Surgery included reduction of large bony fragments, removal of small fragments, stabilization with a wire implant, and sinus lavage. Following surgery, Gambler was hoisted into Tryon Equine Hospital's padded recovery room where he had a very smooth and quiet recovery. Gambler remained at Tryon Equine Hospital for several days following his surgery, where he was monitored very closely. 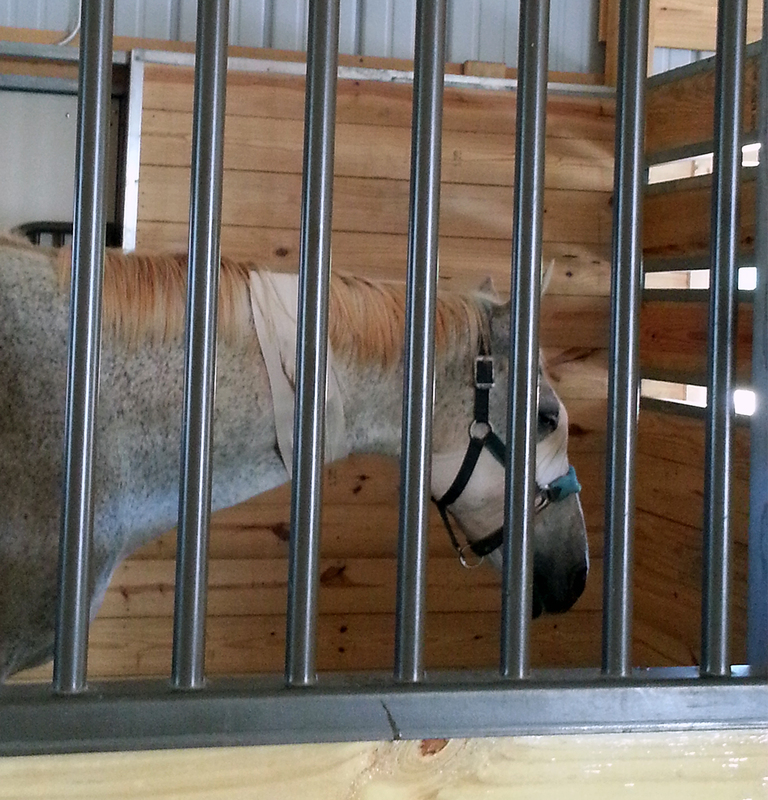 Gambler's post surgical recovery in Tryon Equine's recovery facilities. By the fourth day, Gambler was sent home but remained on stall rest for two weeks. His owner changed his bandage every 2-3 days and let him hand graze a couple times a day. 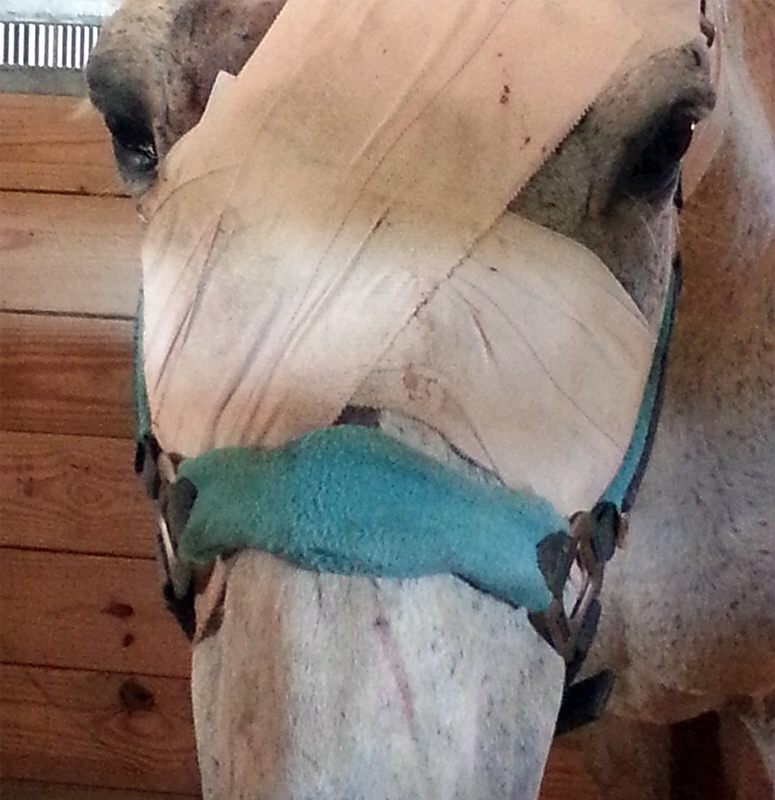 He received Gastroguard, Previcox, and triple antibiotic ointment for his eye. 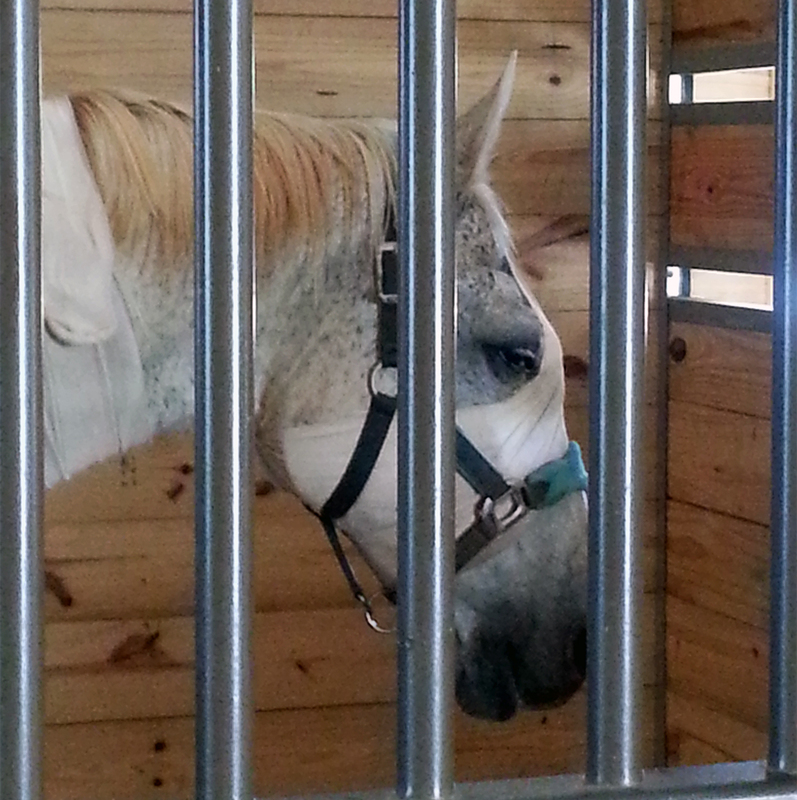 Gambler was brought back to the hospital for removal of the sutures. An eye exam showed normal PLR and normal menace/dazzle. 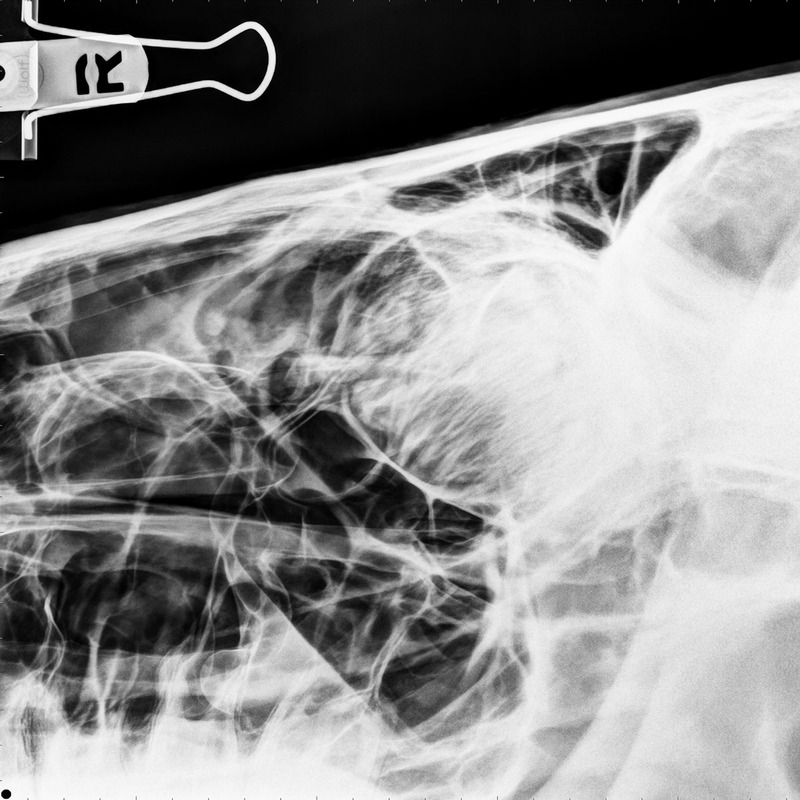 Radiographs were taken of Gambler’s sinus and the repair was intact and healing well. Dr. Bill Hay examining how Gambler's injury was healing (left image). Dr. Lindsey Boone removing Gambler's sutures (right image). There was residual fluid in the sinus, so Gambler was placed on antibiotics to minimize the chance of infection. Gambler was able to return to turn out in a small paddock and could begin light riding. His owner was able to start walk riding for one week then gradual return to walk/trot work. Gambler’s head continued to heal very well. No nasal discharge was present at his next recheck appointment with the doctors at the hospital. The doctors took another set of radiographs to confirm whether there was any fluid present still in Gambler's sinus and that his fracture was healing. 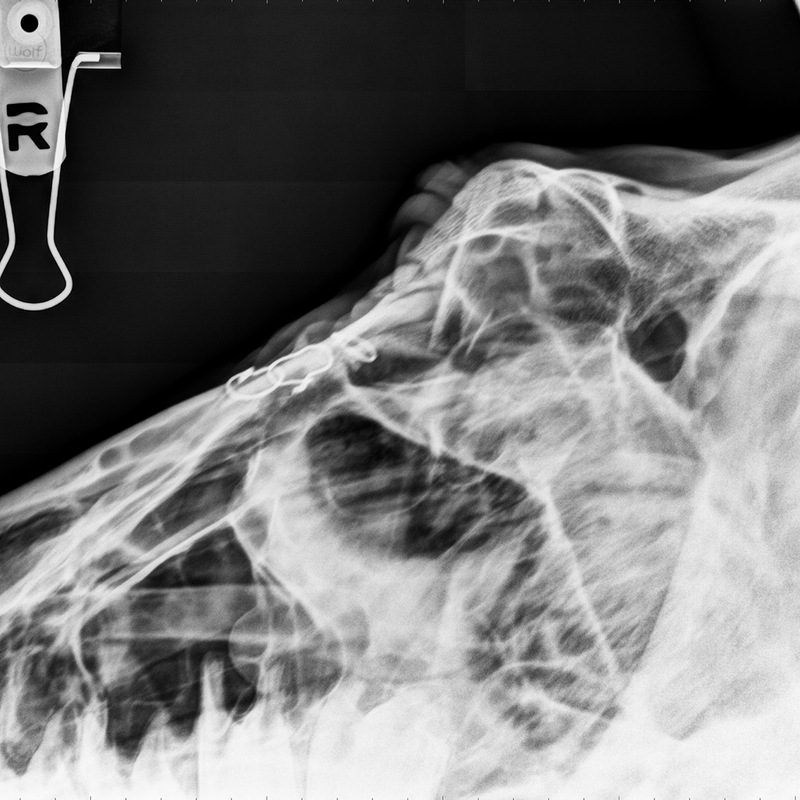 Tryon Equine taking radiographs of Gambler's head (left image). 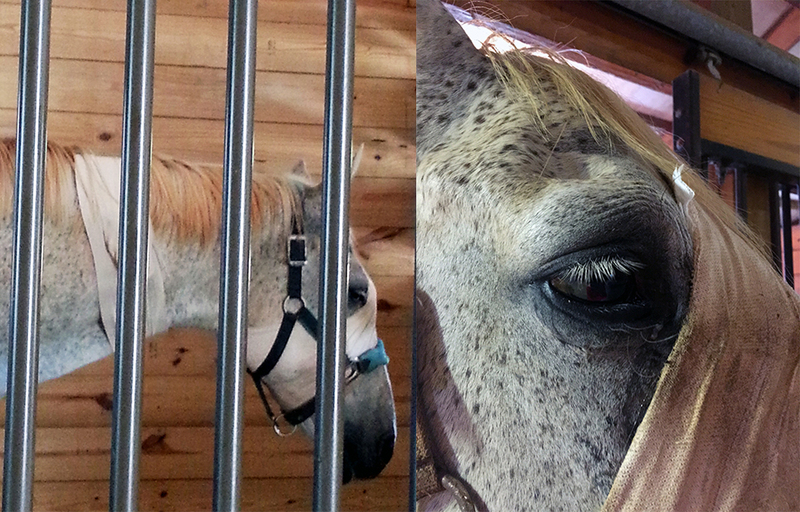 Gambler's updated radiographs after his surgery (right image). The radiographs showed that everything looked great---and that Gambler could gradually return to his normal work. 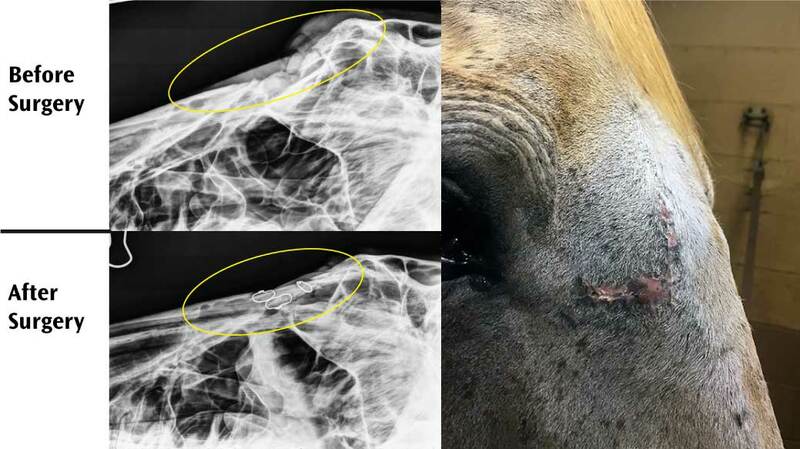 Comparison of Radiographs from Before and After Surgery on Gambler's head (left image). 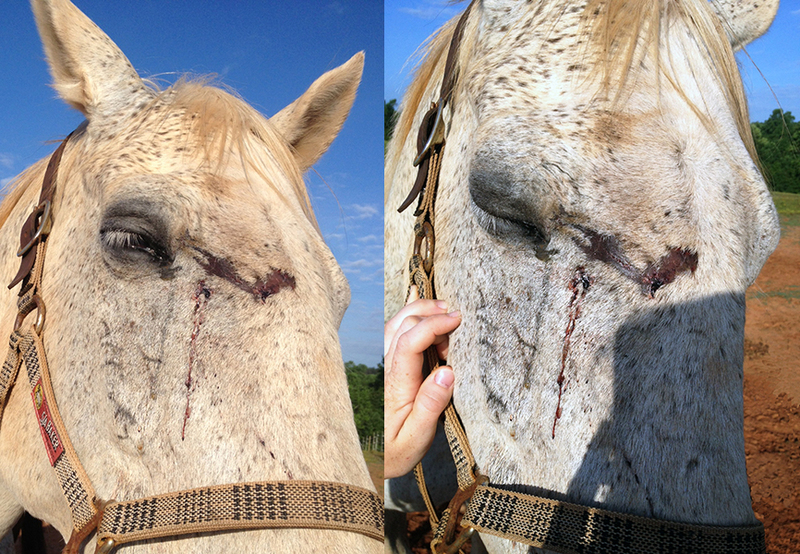 Gambler's head injury on Day 28 post surgery (right image). Tryon Equine Hospital (TEH), located in Tryon, NC, is a fully-equipped, state-of-the-art private specialty equine referral hospital. 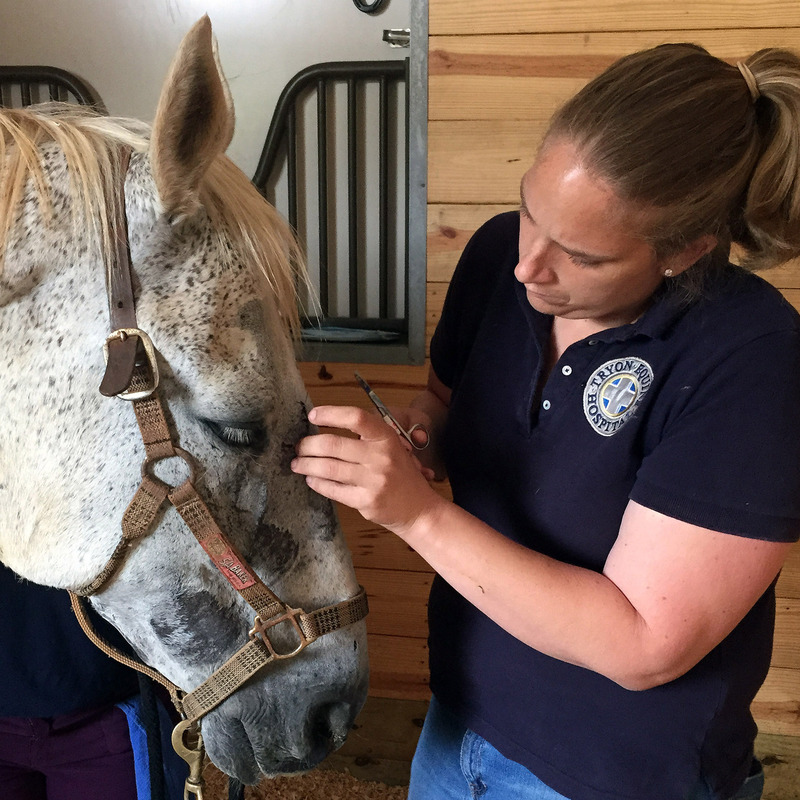 TEH is composed of a team of eight equine highly experienced veterinarians, including four Board Certified Surgeons and a Board Certified Internist. The hospital serves the North Carolina, Georgia and the South Carolina Upstate regions. It is located in the Foothills of the Blue Ridge Mountains in Columbus, North Carolina, just 30 miles east of Asheville, North Carolina, and 20 miles west of Spartanburg, SC. 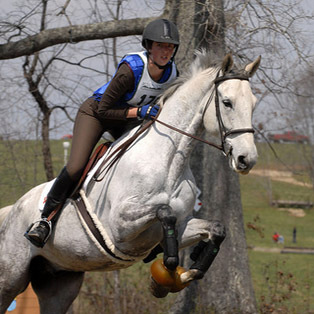 Palmetto Equine Veterinary Services are located in Townville, SC. Dr. Alexandra Tracey is the practice owner and board-certified surgeon who specializes in equine surgery and sports medicine. 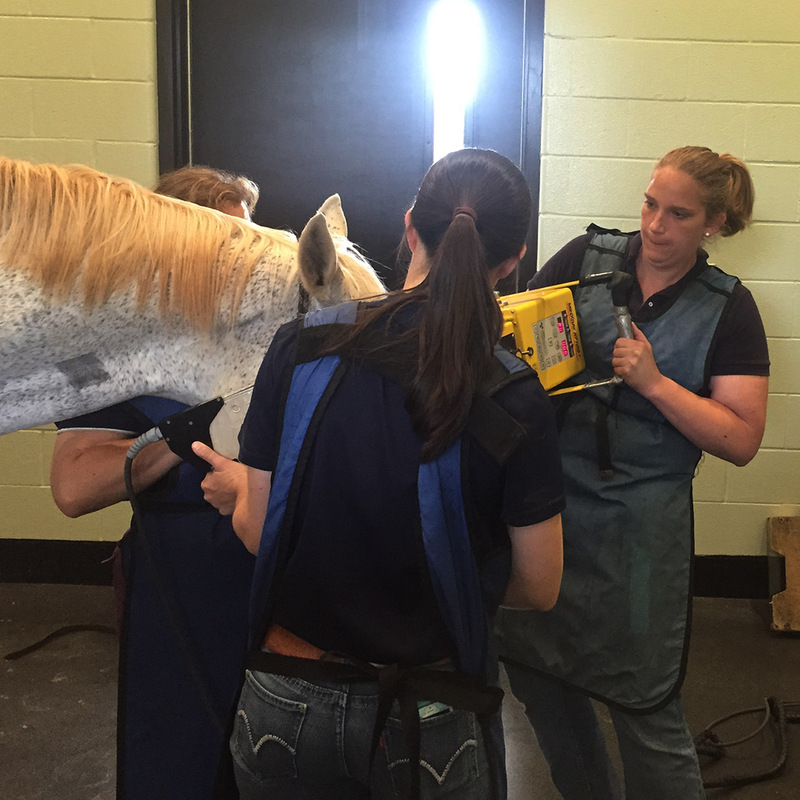 Palmetto Equine VS offers digital radiographs, ultrasound, and endoscopy services in addition to comprehensive lameness workups and emergency service of all types. Dr. Bottger specializes in reproductive services including AI and embryo transfer.